GedikTrader effectively enables investors to invest in stocks, futures, and options in more than 40 different exchanges under the guarantee and expertise of Gedik Investment. 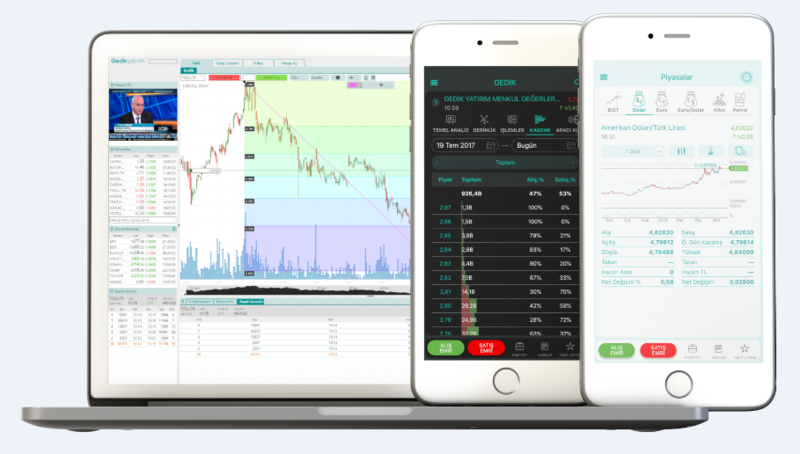 GedikTrader is a trading platform that enables individual and corporate investors to trade stocks and exchange traded funds, futures, and options quickly and easily. GedikTrader provides live and detailed data to let you closely follow developments on the global markets. Additionally, it helps you allocate your investments by carrying out statistical and visual analysis on live data.